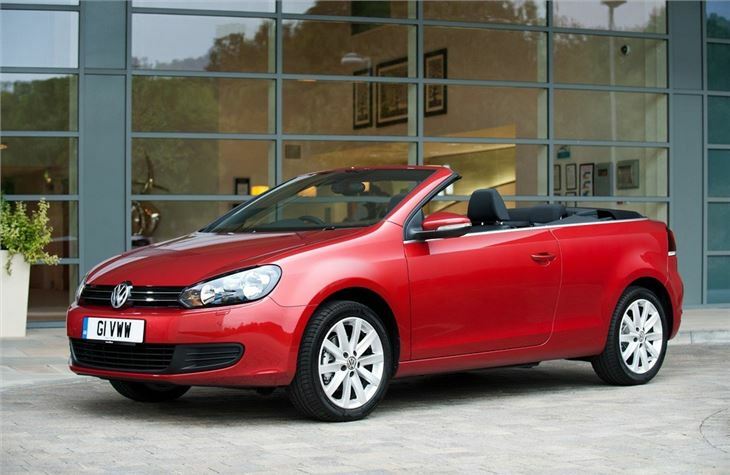 Neatly styled drop-top version of the Golf. Quick-fold roof. Frugal BlueMotion models available plus impressive TSI petrols. Legroom is tight in the back. The Golf Cabriolet has always been a popular and instantly recognisable part of the Volkswagen line-up. So it’s all the more puzzling why it took nine years to replace it. 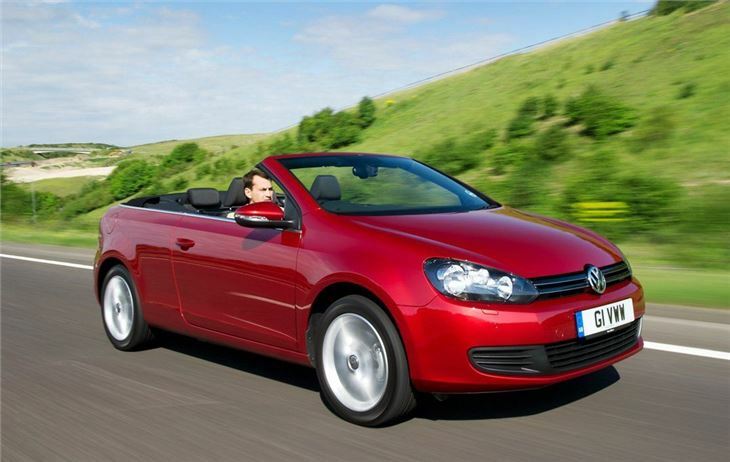 Since the old Cabriolet (which was a Golf III with a Golf IV nose grafted onto the front) went off sale in 2002, there’s been the Beetle Cabriolet and Eos, but neither of these drop-top Volkswagens has quite hit the spot in the same way as the Golf Cabriolet did. So it’s back to the drawing board for the two-door, four-seater 2011 version, with a fabric roof that opens in just 9.5 seconds and sits smartly at the back of the car. Usefully, the top can also be operated on the move, at speeds up to around 18mph. Part of the appeal comes from the wide range of engines. 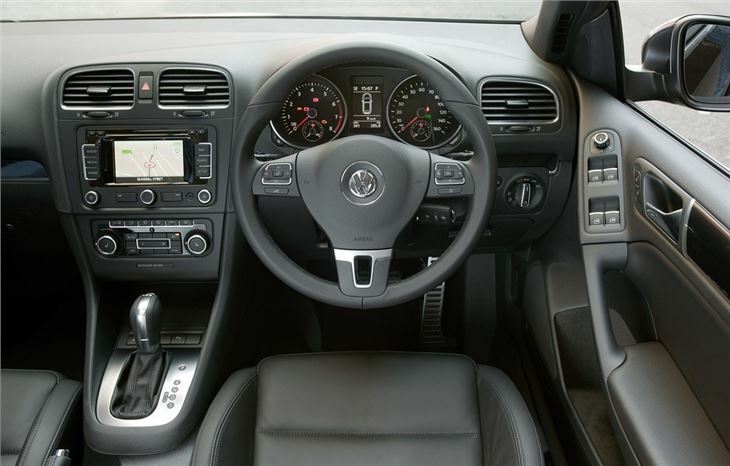 There are 1.2-litre TSI 105bhp, 1.4-litre TSI 160PS, 1.4-litre TSI 122PS and 2.0-litre TSI 210PS petrols and 1.6-litre TDI and 2.0-litre TDI 140PS diesels. 'BlueMotion Technology' modifications applied to the diesel promise high efficiency and low emissions. 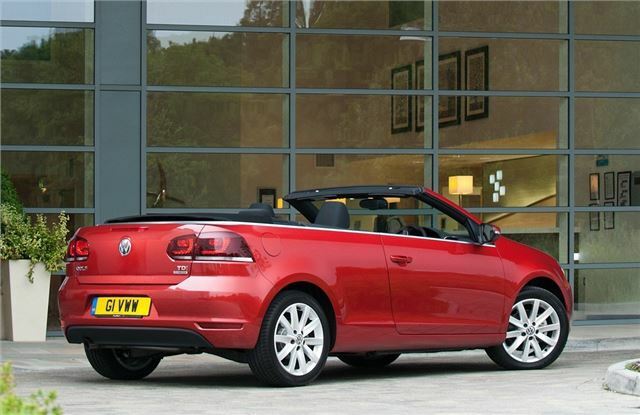 At the back rear there are new LED lights and a deep crease in the bootlid to help it stand out from the standard Golf. Inside it's similar to the hatchback with the same design and layout. There are three trims - S, SE and GT - with all getting a good level of standard specification which includes 16-inch alloy wheels, a fully automatic electro-hydraulically operated soft top, DAB radio and Bluetooth. 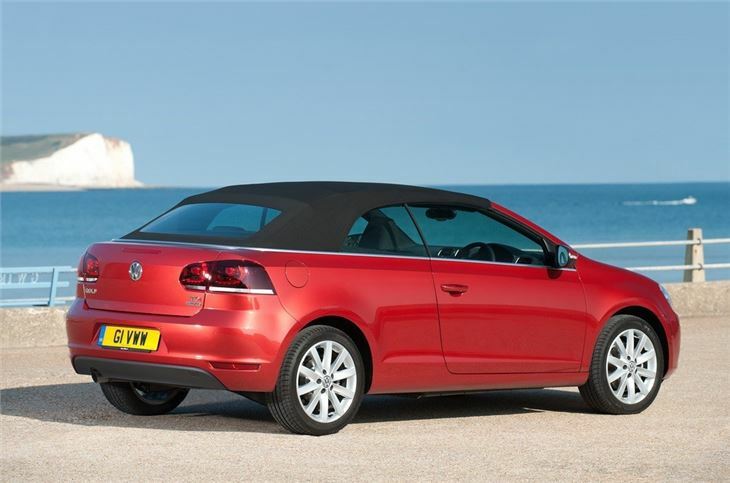 To aid noise reduction and refinement, the Golf Cabriolet's fabric roof which has an additional exterior skin, as well as new window and door seals. When the top is down, the upper side of the leading edge (the bit that directly connects to the windscreen frame) covers the entire top surface of the roof storage box, eliminating the need for a separate cover. This contributes to the very rapid opening time and means it does not need to descend as deep into the bootspace. 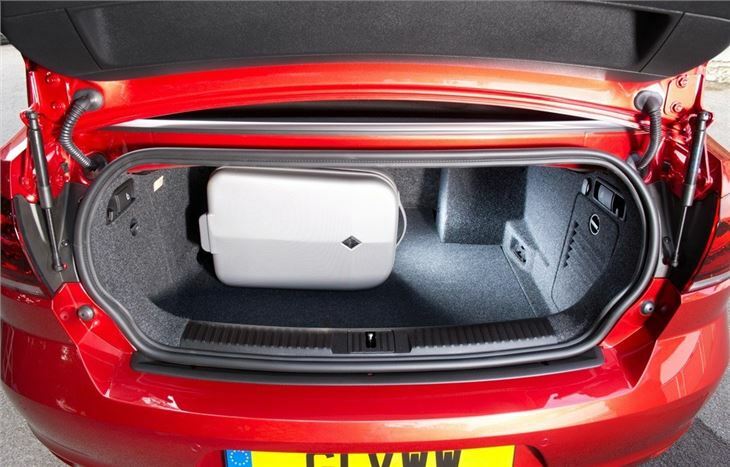 Even with the roof down, there is 250 litres of available space.